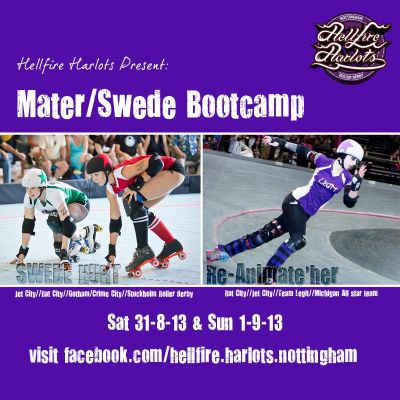 Home / Events / Mater / Swede Bootcamp! We’re bringing Nottingham an epic weekend of skating in the form of our first full weekend bootcamp! The weekend will be split into two days. Each day will be different, allowing you the choice to pick one day, or purchase both, for a full weekend of awesome. During each day, we will have two tracks, giving skaters half their time with Re-Animate’her and half their time with Swede. Both days will be followed by a black and white scrimmage.